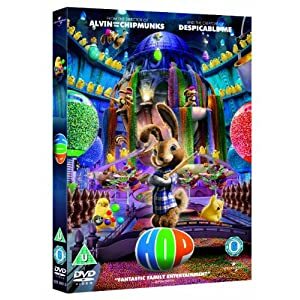 The film “HOP – Edition limitée avec peluche” on Blu-ray, French version. The film is available on this Blu-ray in French, Japanese and English. This version of “HOP – Edition limitée avec peluche (French Version)” was released in 2011. Le film “HOP – Edition limitée avec peluche” en Blu-ray, version française. Le film est disponible en Français, Japonais et en Anglais sur ce Blu-ray. 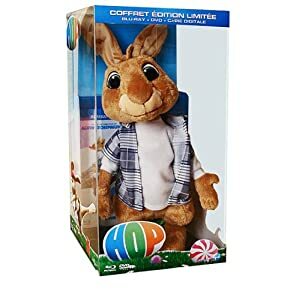 Cette version de “HOP – Edition limitée avec peluche (Version française)” est sortie en 2011. The film “Click Special Edition – Girls Night In Packaging (US Version)” on DVD, US version. The film is available on this DVD in English. This version of “Click Special Edition – Girls Night In Packaging (US Version)” was released in 2009. Le film “Click Special Edition – Girls Night In Packaging” en DVD, version US. Le film est disponible en Anglais, sur ce DVD. Cette version de “Click Special Edition – Girls Night In Packaging (US Version)” est sorti en 2009. 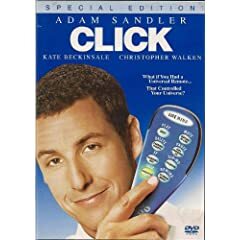 The film “Click (Special Edition)” on DVD, US version. The film is available on this DVD in English and French. This version of “Click (Special Edition) (US Version)” was released in 2006. Le film “Click (Special Edition)” en DVD, version US. Le film est disponible en Anglais et Français sur ce DVD. Cette version de “Click (Special Edition) (US Version)” est sorti en 2006. The film “The Spongebob Squarepants Movie (Full Screen Edition)” on DVD, US version. The film is available on this DVD in English. 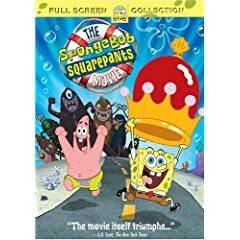 This version of “The Spongebob Squarepants Movie (Full Screen Edition) (US Version)” was released in 2005. Le film “The Spongebob Squarepants Movie (Full Screen Edition)” en DVD, version US. Le film est disponible en Anglais sur ce DVD. Cette version de “The Spongebob Squarepants Movie (Full Screen Edition) (US Version)” est sorti en 2005. The film “The SpongeBob SquarePants Movie (Widescreen Edition)” on DVD, US version. The film is available on this DVD in English, and French. 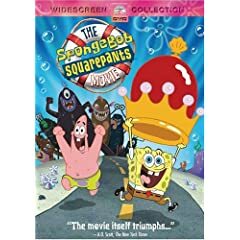 This version of “The SpongeBob SquarePants Movie (Widescreen Edition) (US Version)” was released in 2005. Le film “The SpongeBob SquarePants Movie (Widescreen Edition)” en DVD, version US. Le film est disponible en Anglais et Français sur ce DVD. Cette version de “The SpongeBob SquarePants Movie (Widescreen Edition) (US Version)” est sorti en 2005. The film “Dodgeball – A True Underdog Story (Unrated Edition)” on Blu-Ray, US version. The film is available on this Blu-Ray in English, French, and Spanish. 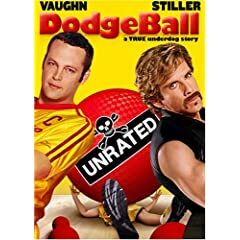 This version of “Dodgeball – A True Underdog Story (Unrated Edition) (US Version)” was released in 2008. Le film “Dodgeball – A True Underdog Story (Unrated Edition)” en Blu-Ray, version US. Le film est disponible en Anglais, Français et Espagnol sur ce Blu-Ray. Cette version de “Dodgeball – A True Underdog Story (Unrated Edition) (US Version)” est sorti en 2008. The film “Dodgeball – A True Underdog Story (Unrated Edition)” on DVD, US version. The film is available on this DVD in English, French, and Spanish. This version of “Dodgeball – A True Underdog Story (Unrated Edition) (US Version)” was released in 2005. Le film “Dodgeball – A True Underdog Story (Unrated Edition)” en DVD, version US. Le film est disponible en Anglais, Français et Espagnol sur ce DVD. Cette version de “Dodgeball – A True Underdog Story (Unrated Edition) (US Version)” est sorti en 2005. The film “Dodgeball – A True Underdog Story (Full Screen Edition)” on DVD, US version. The film is available on this DVD in English, French and Spanish. 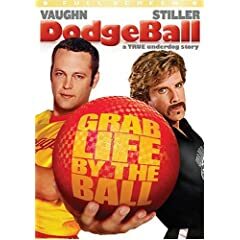 This version of “Dodgeball – A True Underdog Story (Full Screen Edition) (US Version)” was released in 2004. Le film “Dodgeball – A True Underdog Story (Full Screen Edition)” en DVD, version US. Le film est disponible en Anglais, Français et Espagnol sur ce DVD. Cette version de “Dodgeball – A True Underdog Story (Full Screen Edition) (US Version)” est sorti en 2004. The film “Dodgeball – A True Underdog Story (Widescreen Edition)” on DVD, US version. The film is available on this DVD in English and Spanish. This version of “Dodgeball – A True Underdog Story (Widescreen Edition) (US Version)” was released in 2004. Le film “Dodgeball – A True Underdog Story (Widescreen Edition)” en DVD, version US. Le film est disponible en Anglais et Espagnol sur ce DVD. Cette version de “Dodgeball – A True Underdog Story (Widescreen Edition) (US Version)” est sorti en 2004.